There’s no denying that the connection between American Music Theatre and the Academy of Country Music continues to be strong. Sunday evening, April 6, was one of country music’s biggest nights – the night when the Academy of Country Music presented their 2014 ACM Awards at the MGM Grand Garden Arena in Las Vegas. – Merle Haggard received the Crystal Milestone Award at the ACM Awards. An AMT fan favorite, Merle returns on April 28. – During the ACM Awards, Sheryl Crow performed with Dierks Bentley (“I Hold On.”) Sheryl was nominated in the Female Vocalist of the Year category, and makes her AMT debut on June 1. – On June 12, husband/wife duo Thompson Square will hit the AMT stage for the first time. Thompson Square was a Vocal Duo of the Year nominee. – Vocal Group of the Year nominee, and another newcomer to the AMT stage, the Eli Young Band will perform on August 29. – There’s one additional 2014 ACM Award winner who’s scheduled to perform at AMT this year, but their identity is still a secret. Keep an eye out for an upcoming concert announcement to find out who it is! – Song of the Year nominee Gary Allan (“Every Storm [Runs Out of Rain]”) lit up the AMT stage in both 2011 and 2013. – Opening for Little Big Town at AMT in 2012, Kacey Musgraves won the Album of the Year award (“Same Trailer, Different Park.”) She was also nominated in the Female Vocalist of the Year category. – Speaking of Little Big Town, they performed at AMT in 2009, 2010, and 2013, and were nominated in the Vocal Group of the Year category. 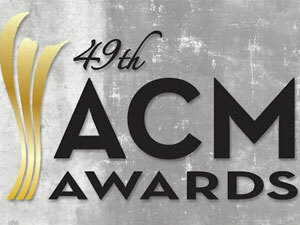 This past January, AMT was selected as one of five nominees in the 2014 ACM Awards Venue of the Year, Small Capacity category. The winner will be announced during the 8th Annual ACM Honors event on Tuesday, September 9 in Nashville. A huge THANK YOU goes out to the Academy of Country Music, the extraordinary musicians, and the dedicated fans who continue to support country music at AMT.